Can discourse analysis techniques adequately deal with complex social phenomena? What does 'interdisciplinarity' mean for theory building and the practise of empirical research? 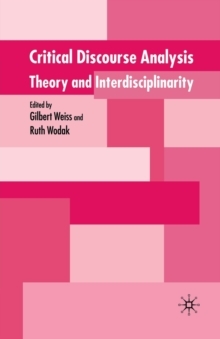 This original volume debates critical theory and discourse analysis, focussing on the extent to which CDA can draw on a range of disciplines in the social sciences. Pages: 321 pages, XI, 321 p.